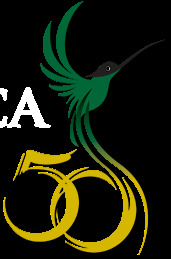 As our main contribution to Jamaica50, My-Island-Jamaica.com launched a unique Jamaica50 poetry contest. And it was a bomb! We had some remarkable articles! Our esteemed judges narrowed it down to the TOP 10 and then we opened the voting segment to the public. Congratulations again Janae, Pheonia and Sharon! Very, very, very well done! But take at look at these below, THE TOTAL TOP 10! I tell you they were all great! Here is the COMPLETE LIST OF ENTRIES! Such love and passion for Jamaica! I also promised a 'Non-Best' award but happy to say, they were all good. 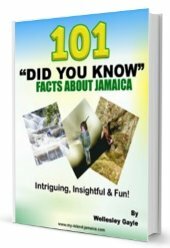 I seriously couldn't find any such 'Non-Best' so I decided to award the prize; that's a complimentary copy of the "Jamaica Insider Guide" to VICENTE MONTEMAYOR, for the spanish entry "LLOVIENDO EN JAMAICA!" It was different and showed the versatility, creativity and also displayed the passion for Jamaica. Ms Terri Reever, my co-admin at FB and the face of our ardent fans here on My-Island-Jamaica.com. Thanks to all those who participated. 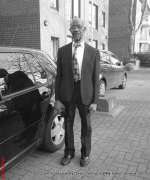 All in all it was a remarkable event. It was educating, exciting and fun! Happy JA50 To You All! Jamaicans or Jamaicans at Heart! Love You! Also, please subscribe here and stay tuned for the next event! By the way if you are interested in sponsoring another contest on My-Island-Jamaica.com, please contact me. I'll be grateful for the partnership. Below are all the other entries received in our Jamaica50 hubbubr. Click on each to review and/or to post a comment. Jamaica's first Independence - I was there! Have questions or comments, please feel free to Contact Me. Return to My Island Jamaica.com Homepage from Jamaica50.